I recently received the following email in my inbox. 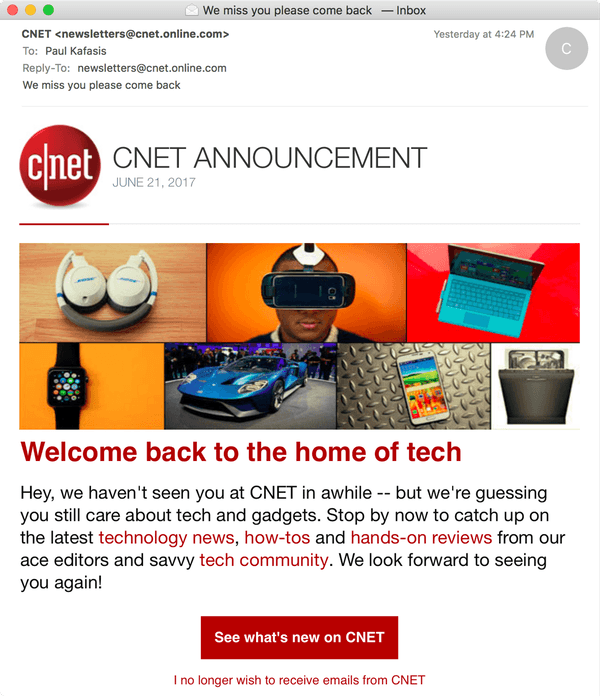 Obvious, CNET is looking to boost their traffic numbers. Begging me to come back via email is fairly pitiful, but it’s the subject line that really gets me. The lack of any punctuation really just makes it more pathetic. I almost felt bad about immediately clicking the unsubscribe link at the bottom of the email. Almost.